WASHINGTON — Members of a NASA safety panel said May 17 they believed that a SpaceX approach for fueling its Falcon 9 rockets known as “load-and-go” could be used for future commercial crew missions. At the meeting of the Aerospace Safety Advisory Panel (ASAP) at the Kennedy Space Center, panel member Brent Jett said he expected NASA’s commercial crew program would soon make a decision on the sequence of loading propellants and crew for SpaceX commercial crew missions. That sequence has been a topic of controversy because of SpaceX’s preference to use an approach called “load-and-go” where astronauts would first board the Crew Dragon spacecraft before the rocket is loaded with RP-1 and liquid oxygen propellants. SpaceX has preferred that approach because of its use of dense supercooled propellants, which need to be loaded on the vehicle shortly before launch. That approach, though, is contrary to previous practices in NASA human spaceflight, where rockets are fueled prior to allowing astronauts to board the vehicle. Thomas Stafford, a former astronaut who chairs the agency’s International Space Station Advisory Committee, sharply criticized the SpaceX plan after a Falcon 9 exploded on its launch pad during preparations for a static-fire test in September 2016. “There is a unanimous, and strong, feeling by the committee that scheduling the crew to be on board the Dragon spacecraft prior to loading oxidizer into the rocket is contrary to booster safety criteria that has been in place for over 50 years, both in this country and internationally,” Stafford wrote in a December 2015 letter to NASA released after the pad explosion. Jett said that ASAP received a report recently from the NASA Engineering and Safety Center than examined the issues with load-and-go, including some “hazard causes” not previously identified. That report “proved very valuable to the commercial crew program,” he said. “My sense is that, assuming there are adequate, verifiable controls identified and implemented for the credible hazard causes, and those which could potentially result in an emergency situation, or worse, loss of crew and vehicle, it appears that load-and-go is a viable option for the program to consider,” he said. Other ASAP members offered similar opinions. “It appears that, if all the appropriate steps are taken and it addresses the potential hazards, the risk of launching crew in the load-and-go configuration could be acceptable,” said Patricia Saunders, chair of the panel. 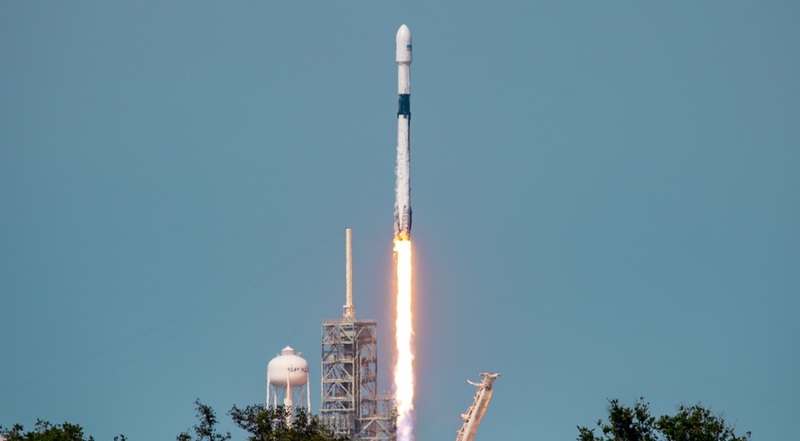 The load-and-go issue is separate from another issue involving a redesign of the composite-overwrapped pressure vessels (COPVs) used to store helium to pressurize the Falcon 9’s propellant tanks. The 2016 Falcon 9 pad explosion was blamed on a flaw in a COPV that allowed solid oxygen to form between the composite overwrap and liner, which triggered an explosion. Musk, in the May 10 call, said that SpaceX has a fallback plan if the COPV redesign effort fails, replacing them with Inconel spheres. However, he said that he expected the redesigned COPVs to be approved for use on crewed Falcon 9 flights after considerable effort by the company’s engineers.